Poor Easter. In the world of TV holiday specials, you are not represented well. But worry not, here comes Rankin & Bass to the rescue! I’ve written a lot about the genius of animators Rankin & Bass and their mad sixties romp through the holidays! 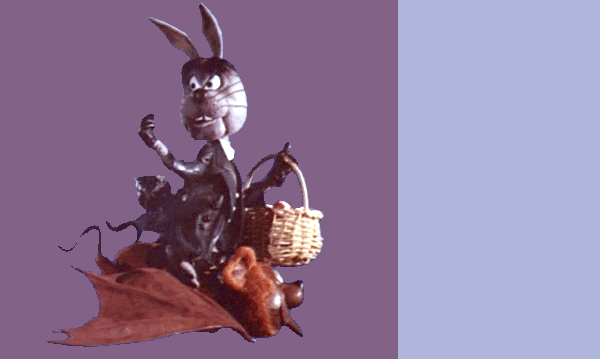 And I’m delighted to share with you another one of my favorites—Here Comes Peter Cottontail. OH YES! This dapper evil-doer got his name after a kid roller-skated over his little bunny tail and he had to have it replaced with some mechanical awesomeness. Total steampunk brilliance, right? And sweet heavens above, his favorite form of transportation? Oh, A BAT! What were the writers thinking when they created this genius character? 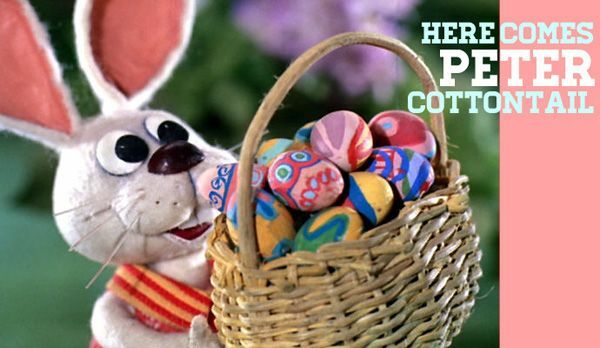 Peter ends up missing Easter and has to get people to take his Easter eggs the rest of the year, which is pretty hard when it isn’t Easter. So he frolics his way through many a holiday trying to make right his wrong. Do you remember watching it as a kiddo? Oh, I love this one! It’s been years since I’ve seen it though. Shoot, I wonder if I can get it in time for Sunday!